Who said that maintaining a swimming pool is only for professionals? You can clean your swimming pool on your own, which will save you big money. Hiring professional pool cleaners to keep your pool clean could be very costly. You can always perform this responsibility on your own. If you do not have the tools essential for maintaining your swimming pool, then visit mypool.com or you local pool supply store. The essentials are: A essential Pole, Brush, Skimmer Net, Vacuum Head, and Vacuum Hose. While all of these items can be bought on-line we would recommend your local pool store for the pole, due to its large size as It is fairly expensive to ship. The other items can easily be combined and shipped at MyPool.com. we have a large selection to choose from. Cleaning your pool starts with skimming the leaves from the surface of the pool. By skimming the pool it will eliminate the need to manually vacuum the pool or for a pool cleaner to remove them. There are generally two types of nets one for skimming (skimmer net) and the other for removing debris on the bottom of the pool (leaf rake). I prefer the leaf rake because it has a larger opening and with a fine mesh bag it can be used for skimming and removing debris on the bottom of the pool. The second most important thing is to brush the pool. Brushing frequently helps prevent algae growth and helps the filter remove unwanted debris by stirring up the debris. When selecting a pool brush consider the surface of your pool. Never use a stainless steel brush on a Vinyl or Fiberglas Pool. For vinyl and fiber glas pools consider an all plastic brush or a metal backed brush with rounded edges or an all plastic brush with nylon bristles. Regular brushing, perhaps as little as once a week, will help keep the pool looking great. Vacuuming your pool is perhaps the most time consuming task when it come to maintenance of the pool. Performing steps one and two will certainly help reduce the need to vacuum the pool on a regular basis. There are two types of pool vacuums, manual and automatic. Please read automatic pool cleaners for further information. For manual vacuuming of your pool, you will need a hose and a manual vacuum. When considering a hose, measure the distance from where your hose would connect to the pool to the farthest point of the pool and add at least five feet to this measurement. The important thing to consider when selecting a vacuum is the width of the vacuum. Larger widths will require less passes of the vacuum. For most residential pools 14 inches is adequate. An often overlooked part of pool maintenance is regular cleaning of the pool tiles. Keeping the tiles clean will help prevent leaves and other debris from sticking to the tiles. A small amount of dish detergent (1-2 drops) can help keep those tiles clean. For white deposits on the tile, a mild cleaning with an acid may be required. Don’t overlook testing your pool on regular interval as your pool water requires to be treated frequently to maintain its overall health and clarity. Dull pool water is a consequence of poor water chemistry. Run frequent water tests to recognize what’s required to be improve your water chemistry. A word about landscaping: Choose plants that do not shed. If possible, avoid plants with long leaves as most automatic pool cleaners may have difficulty in dealing with them. Remember proper skimming of the pool through the adjustment of the water level will greatly reduce the need to clean the pool. If leaves are excessive a leaf cover may be necessary. Your personal swimming pool is an ideal refuge to get rid of all the stress and find great relaxation. Immersing your body in swimming pool water offers great comfort and revival. Exercising in your pool improves mood and loosens up tired muscles. To some, swimming pools aren’t just great for relaxation. Some also use it as a regular part of their exercise routine. With development of technology, a swimming-pool heater can be incorporated to make the best use of your pool, particularly during winter season or in the evening hours. Pool heaters are meant to provide swimming within a comfortable temperature range. If the pool water is excessively cold, it is tough to enjoy a swimming pool session. However, with a swimming-pool heater, everyone can enjoy their pool session anytime. With such benefits, now a lot of swimming-pool owners are investing in pool heaters to maximize their pool time. With so many pool heaters available in the market, selecting the appropriate swimming-pool heater could be a demanding task. Purchasing one should rely on your requirements, budget, and existing design of your house and pool. Gas-fired pool heaters are very popular and effective as well. Gas heaters make use of natural or propane gas. They’re affordable to buy and operate. Also, they are meant to maintain any required temperature in spite of the climate or weather. These heaters are very effective when heating swimming pools for a short span of time and also perfect for quickly heating swimming pools. Thus, these heaters are an excellent choice for swimming pools that aren’t used on a regular basis. Hayward pool heaters could be a great choice to heat your swimming pool effectively. When buying a pool heater, proper research and having the information as to what precise heaters fit your budget and needs, can be useful in making your decision. There is an old saying in the pool industry, “Bigger is better”. Always select the largest heater that your budget will allow. You can choose MyPool as your primary source for purchasing the best of swimming pool products. No matter whether you are looking for swimming pool heater or a swimming pool heater parts, MyPool can offer you the best deal available. With the summer season approaching, many home owners are thinking to escape the intolerable heat and humidity while relaxing in their personal swimming pools. Keeping the pool clean is a chore that must be done. One feature of most pools is the pool skimmer. The skimmer, when operated properly, can greatly reduce debris in the pool, making cleaning a much simpler process. There are three essential things to understand how a skimmer works: The weir, skimmer basket and the water level. What exactly does a pool skimmer do? It’s function is removing debris floating on the pool surface such as leaves, small insects, and dust. Most pools have at least one skimmer. Some pools can have too or more. Simply stated removing debris from the surface keeps the pool cleaner. The skimmer consists of two parts the skimmer door called a weir and the skimmer basket. In order for the skimmer to work properly, the water level of the pool must be maintained at the middle of the skimmer opening. Try to adjust the pool returns, in such a manner that water circulates toward the skimmer. The skimmer basket has an important role, namely keeping the large debris from getting to the pump and reducing the pool pumps ability to pump water. Cracked baskets should be replaced. The weir acts as a small waterfall. When the pump is on, the weir door is pulled back slightly towards the basket, causing the surface water to be pulled into the skimmer by cascading over the top of the weir, removing surface debris. Recently, solar powered pool skimmers have appeared in the market. Conceptually they work the same as a normal skimmer. For pools that do not have a built in skimmer this might be a solution. No matter what kind of swimming pool you have the proper use of the skimmer weir and a functioning skimmer basket is essential in keeping your pool clean. 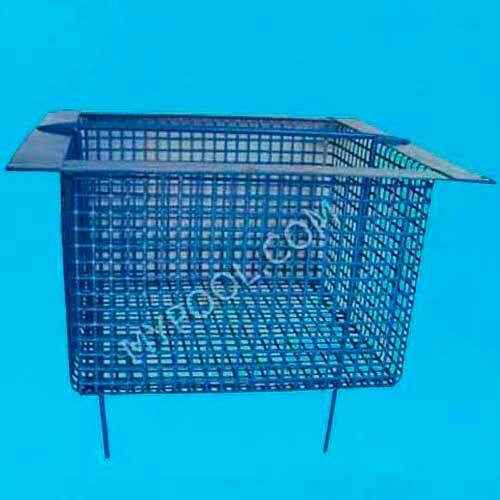 At MyPool we have a large selection of skimmer baskets and skimmer weirs. As the swimming pool owner, water safety of everybody using your swimming pool is your responsibility. A swimming pool in your backyard can truly prove to be a blessing. Having your own personal resort is a remarkable pleasure for cooling off, when temperatures are high. You can enjoy swimming while maintaining both your comfort and privacy. For fitness enthusiasts, what can be a better option than exercising in your swimming pool? There are lots of benefits as far as health and fitness are concerned. It could also be a great source of entertainment for barbecue and pool parties. However, your pool needs regular maintenance if you want to enjoy your investment. Pool cleaning is essential when it comes to swimming pool maintenance. Cleaning your pool requires manual labor, dedication, and some dexterity. Pool cleaning is very essential for maintaining cleanliness and health. Debris, dust, algae, and dirt will amass in your swimming pool, depleting your chlorine and the potential to make the pool un-swimmable if not resolved. Selecting the finest Hayward Pool Vac pool cleaner could be a demanding task due to the range of cleaners that have swamped the market. Pool cleaners can operate on pressure, such as the Polaris pool cleaners . They can also operate on vacuum such as the Hayward Navigator. The newest are the robotic pool cleaners. All promise to provide minimal hands-free means of cleaning pools made from concrete, vinyl, or even fiber glass. All pool cleaners, regardless of the type, will make cleaning of the pool a much easier task and the enjoyment of owning a pool more satisfactory. Automatic pool cleaners seem to be the best option among all as they are most productive as far as cleaning is concerned. They make minimal possible hands-free cleaning, and they assist in sanitizing the pool by better distributing the pool chemicals. Most importantly, they can reach tough pool areas like the steps and the walls of the pool. The automatic pool cleaners are designed to clean pools of any size effectively, no matter whether they are in-ground pools or pools that are built above the ground. These cleaners are available in different ranges to suit exact pool types. It’s advisable to talk pool to a professional about which pool cleaner is best suited for your swimming pool. Automatic pool cleaners are very reasonably priced, so they don’t affect your wallet very much. With more than 8,000 swimming pool products, MyPool has turned out to be a premier supplier of swimming pool products, celebrating our sixteenth year on the web. 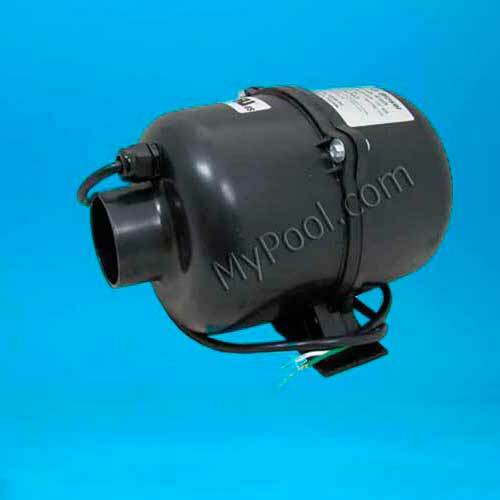 At MyPool we have pool cleaners, pool cleaner parts, as well as filters, pumps and heaters. Swimming Pool Pumps & Filter Are The Most Essential Pool Supplies! Every swimming pool needs a swimming pool pump & filter for cleaning or filtering the water. When selecting a pump and filter, they must be correctly sized to the volume of water that is in the pool. The swimming pool pump & filter are responsible for circulating the pool’s chemicals and filtering out debris from the water to keep it sparkling blue. The pump should be sized to the filter, so the pump can pump the number of gallons of water in 6-8 hours that will cause one turnover of the pools water. A larger than needed filter will allow you to clean less often. Never use a smaller filter than what the pump is designed for as it will cause less efficient filtering and higher operating pressures of the filter. 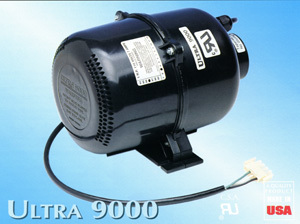 Swimming pool pumps are available in three types, single speed, dual speed and variable speed. 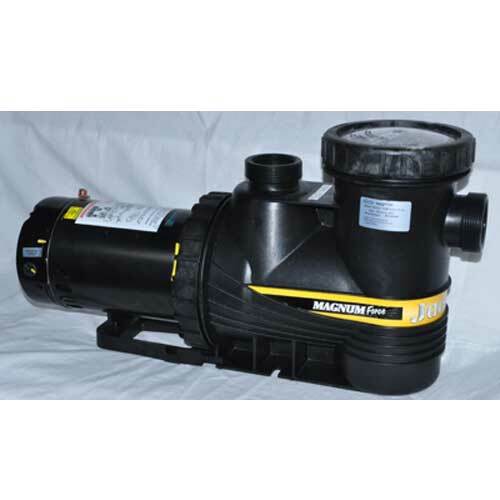 Single speed pumps come in a variety of sizes from 0.5 HP to very large 5 HP and larger pumps. Most home pools typically will use a 1 HP pump, larger for higher volume pools and smaller for lower volume pools. Dual speed pumps allow you to operate the pump at a lower speed to allow for chlorination of the pool when the use of the higher speed is not necessary to operate a pool cleaner. Variable speed pumps adjust the speed automatically based on how dirty the filter is. Single speed pumps are the least expensive to buy. Variable speed pumps are the most expensive. Swimming pool filter are available in three types: Sand, Cartridge and DE Filters. In my opinion the most important is the cost to operate and ease of use. Swimming Pool Products – You Can’t Ignore Them! So you are planning to own a swimming pool. Well, that’s a great idea. You’re about add a great deal of fun to your love one’s life. A pool is certainly an ideal place to get some good exercises and enjoy your family’s member’s company. Your back yard will possibly turn into the neighborhood’s most preferred gathering spot. Before rushing to put a pool in your backyard, ample consideration should be given to a number of factors. The most important should be safety. Make sure the pool is designed and installed with safety in mind. In-ground pools should be deep enough to allow diving safely if a diving board is installed. A safety fence should be around the pool to prevent drowning of pets and children. Above ground pools should have barriers protecting entry to the pool on ladders that are secured with locks. The type of filter used in your pool will determine the on-going cost. Considering the type of filter will determine your on-going costs of maintenance. Cartridge filters are the cheapest to buy and install. They are the highest cost for on-going maintenance as replacement cartridges could run $50.00 to $200.00 to replace every 1-2 years. Sand filters are the easiest to maintain and intermediate in cost to purchase. 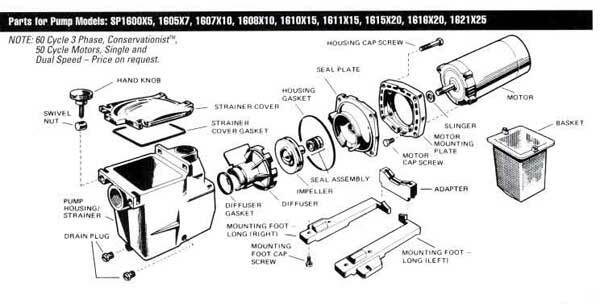 DE filters are the most expensive to buy and intermediate in on-going maintenance cost. Pumps need to be properly sized to the filter. 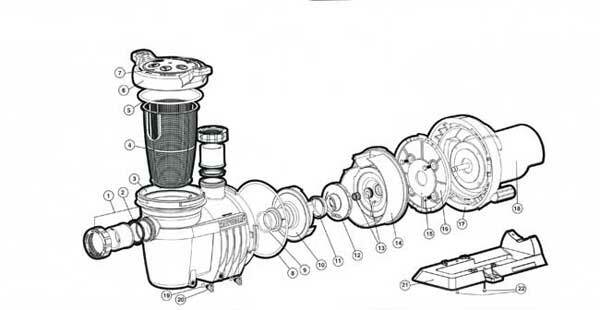 Pumps can be single speed, dual speed or variable speed. 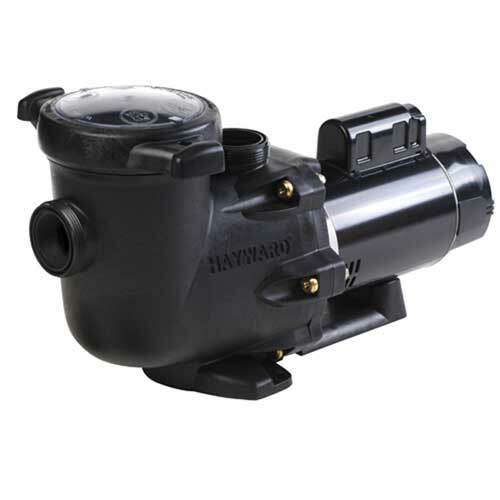 The variable speed pumps are the most expensive to buy and the least expensive to run. Other considerations should include how the pool is going to be chlorinated and whether the pool is going to be heated. Finally consider those special toys such as floating loungers, basketball and volleyball games that make that pool in you backyard special. Also, consider swimming pool products that are of good quality. Swimming Pool Heaters – Choose Wisely! Having a pool is a great investment for the family. Depending on your local temperatures it may not be possible to swim the entire year. The decision to heat your pool becomes a major decision from the standpoint of usability of the swimming pool and the cost to heat the pool. Perhaps the decision is based on how the pool is used. Swimming pools have several diverse uses and aren’t only for summer amusement. If you reside in a climate that doesn’t permit you to have a dip in your pool, then making use of Swimming Pool Heaters are the ideal means to get the most out of your investment. People love to use their swimming pool for socialization, exercise, relaxation, therapy, and skinny dipping. If the pool is used for therapy, the decision to heat the pool is relatively easy, regardless of the costs involved, the use of the pool for an occasional skinny dipping might not warrant the cost of the heating equipment and the actual cost to heat the pool. Some factors that are necessary in determining the feasibility of buying and heating a pool are as follows: What is the outside temperature. What is the minimum temperature needed for you to conformably swim. This along with the size of the pool, will determine what size heater is needed. A very general rule when it comes to heater, buy the biggest your budget can afford. Another factor to consider is whether you will keep the pool heated 7 days a week during the heating season. It could take 3-4 days for a pool to be heated. Gas heaters will generally heat the pool faster than electric heat exchangers. One of the most important considerations in heating a pool is the day to day cost of heating the pool. Electric or heat exchangers are generally less expensive to heat the pool, whereas they are the most expensive to buy. Heat exchangers are generally designed to keep the pool heated for longer periods of time. The use of a gas heater to heat a pool for an occasional party might do the trick as gas heaters will heat the pool faster. Swimming pool safety is certainly the major component for a joyful swimming experience. From the ancient times to this modern era, swimming has been one of the most enjoyable and healthy leisure activities. Earlier swimming pools were only used for exercises, but now a swimming pool is a major attraction in any home. Therefore, swimming pool safety is very essential to experience the best of such an investment. Part of the attraction of a pool is its clean sparkling water. Unclear water isn’t tempting to dive into and sometimes dangerous as well. While a cloudy pool is not necessarily unsanitary it certainly is a sign of a problem. It could be improperly balanced water or a filter system that is not working properly. Understanding water chemistry is very important. Until water is allowed to circulate after the addition of pool chemicals it may be unsafe to swim. Never mix chemicals, Read the labels, If adding two or more chemicals allow the chemicals to circulate at least one hour before adding the second or third chemical. Store chemicals in a cool dry place, Pool chemicals can be toxic depending on the type of chemical, keep them out of reach of children and pets. If you do not use your swimming pool in the winter, there are steps you should take to shut-down your pool. You need to protect the pool and pool equipment from freezing. Frozen water can crack filters, pipes and pool pump housings. When opening the pool, water chemistry must be adjusted before swimming. A Child-Proof fence around an in-ground pool is an essential part of swimming pool safety. Above ground pools should have a barrier preventing entry into the steps to the pool. Be mindful of items such as chairs and tables that may be used as a means to overcome the barrier to the pool. Floating toys in the pool can often attact children to reach for them and then fall in. Avoid floating toys being left in the pool that can attack children. Swimming Pool Heaters – Know Your Options! Choosing the right swimming pool heater is an individual decision. Swimming pools aren’t just for summer enjoyment. Many people love to swim throughout the year for exercise, socialization or relaxation. If you live in a region where the climate changes very quickly, or you just don’t like cold water, a pool heater might be a good thing to have under your belt. Once you make a decision to get a pool heater, the next choice is what kind of heater to buy. Now that you are considering heating your pool, you’ll need to decide on the type of heater and your budget for the installation. The next question is whether or not you’re going to cover the pool with a blanket when not in use. For simplicity, let’s divide pool heating equipment into three types: Gas, Electric and Solar. Gas heaters are typically less costly to purchase and more expensive for heating the pool. Gas heaters are available in two types, natural gas and methane. One advantage for gas heaters is the ability to heat the water relatively quickly. The second category to consider is electric. This category can be divided into two types: Immersion and Heat Exchangers. Because of the high cost of electric immersion heaters, they are only practical in small pools and spas. Heat exchangers typically are higher in cost to purchase, but lower than gas to keep the pool heated. Heat exchangers use time proven technology which is similar to an air conditioner working in reverse. Heat exchangers are not designed to rapidly heat the pool, but slowly heat the pool and then maintain the desired temperature. Finally, solar heaters - these are intermediate in cost and practically nothing to keep the pool heated. Solar heaters are sized according to the surface of the pool. Look at the surface and determine where all those panels will be placed. One of the first things mentioned to consider is whether you are going to cover the pool with a blanket when not in use. This will greatly reduce the cost of heating your pool regardless of the type of pool heater you may consider. If you decide not to buy a heater, consider Solar blankets, which are a low-cost, effective way of heating your pool. They are capable of raising the temperature in a pool between 5 and 15 degrees Fahrenheit. Can you imagine 80 degrees versus 70 degrees? Solar blankets can easily extend the swimming pool season 1-2 months on each end of the cold winter months. Considering all your options will definitely help you to decide the exact type of swimming pool heater you require. Swimming Pool Cleaners Are The Most Essential Accessories For Your Pool! Anyone who owns a pool knows how tough it’s to maintain it. Pool maintenance is never easy, particularly if you live in a rural setting. Grass & leaves are a regular danger to the health of your swimming-pool. Leaves and other debris in large quantities can cause the swimming pool pumps baskets to become clogged, restricting the flow of the water to the filter. This reduced flow and increased organic matter being introduced into the pool can rapidly deplete the chlorine levels and cause the pool to turn the same color as your lawn. People who use hand-held pool cleaning nets & mesh baskets understand this problem very well, and if you are consistent in your efforts, you can stay ahead of the problem. If you’re the proud owner of a swimming pool, then finding a good swimming pool cleaner is important for saving you time and to help keep that investment looking great. There are many different types of swimming pool cleaners on the market today. Generally speaking, there are three types of pool cleaners, those operating on suction, those operating on pressure, and robotics, which are totally independent of the pool system. 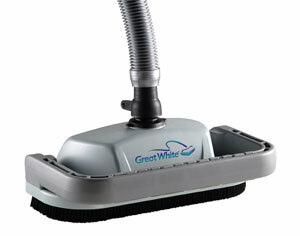 Suction pool cleaners are perhaps the simpliest, and defitely the least expensive to buy. 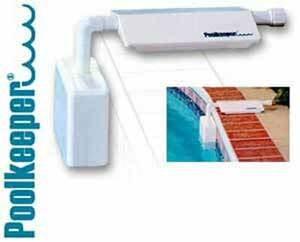 Take it out of the box, plug it into the skimmer and it cleans the pool while the pump is running. Pressure driven pool cleaners are a great choice. Specialized plumbing is required and is best purchased when a pool is being built. Robotic cleaners are stand-alone pool cleaners either operating off an electrical umbilical cord or re-chargeable battery. While many pool owners believe that they keep their swimming-pool free of debris and dirt because they’re keeping it sparkling, the reality is that bacteria, particularly in warm climates, like damp areas, such as swimming pools. A good cleaner will check your pool water and circulate the water with chlorine or regulate its pH levels as needed to ensure it’s safe for swimming. You can feel confident that your cleaner is keeping your pool water clean, and that your pool cleaner is keeping your swimming-pool looking great. Nobody loves to swim around in a leaf & twig muddled pool, or share it with frogs, insects, and the occasional turtle or snake, and they certainly don’t want to swim in water that is riddled with bacteria. Mypool provides a complete range of swimming pool parts and products, from all the mainstream manufactures. Doing business on the web since 1998, Mypool has a list of over eight thousand products. Mypool offer its customers the best variety of swimming pool equipment and swimming pool supplies at the best prices on the web. Mypool is a leading supplier of automatic pool cleaners to suit every style of pool. So, don’t be too late! Check our website for everything you need to keep your swimming pool clean and order your swimming pool cleaner now! Mypool – Offering Only Quality Swimming Pool Supplies! Having a swimming pool in your backyard might be one your dreams, but without the appropriate swimming pool supplies, maintaining that pool can be a real chore. Undoubtedly swimming pools are soothing and possible stress busters. Proper maintenance of your pool requires an arsenal of swimming pool products, including Test Kits, Brushes, Leaf Nets, vacuums and of course chemicals to fight germs and algae. However, maintaining isn’t an effortless task. Most individuals hire professional pool service companies to maintain their pools. Those who are budget-conscious should equip themselves with the right tools to make the job as effortless as possible. At MyPool.com we have those products and accessories, but choosing the proper one could be a daunting task. We are here to help. Your basic pool equipment includes a pump and filter; these are essential for proper maintenance and circulation of chemicals to keep the pool sanitary. Additional supplies such as swimming pool cleaners could reduce the task of cleaning the pool, many times fold. Test Kits are essential to determine what chemicals are needed to be added to the pool to keep the water balanced and sanitary. Leaf nets are necessary for removing leaves and bugs just prior to swimming. Bushes are essential to keep the walls free of algae. You also need swimming pool chemicals which not just clean the water, but also sanitize it. 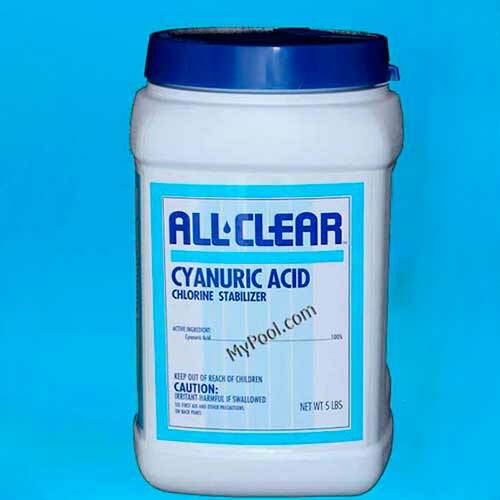 Please see: Swimming Pool Chemicals for an extensive list of product types and uses. Among the other useful swimming pool product are in-line swimming pool chlorinators. Chlorine tablets are placed in the chlorinator which is located by the filter. A regulator valve allows you to adjust the flow of water thru the chlorinator. There is a safety consideration here that is far more important than the actual benefit of providing a regulated amount of chlorine.Chlorine tablets should be kept away from the pool out of reach of children and pets. At Mypool.com there are more than eight thousand swimming pool products & supplies available. If you have a special need, we will make an effort to locate it for you at fantastic pricing.